December | 2012 | Two Dads, one very opinionated son. It’s very humbling the feedback we get from this blog and the number of people that are reading! I’ve been asked many times lately when the next instalment is coming, but between working and parenting the time to unwind and write is sometimes hard to find! It’s been a rather reflective (and trying) time over the last few weeks as we watch our little man grow and develop both physically and mentally, he reaches milestones in his progress with us that make us smile with pride, whilst at the same time we often watch progress slip away as past behaviours arise again and we commence an uphill battle to help him get back on track. It really seems hard to believe that we’re approaching our 2nd Christmas together already (and starting on amazing plans for our 3rd too!). Sitting in the living room I look up and catch a flash of him stalking down the hallway, he has a set of glasses on (his 3D set from the movies), a random hat, a bag swung across his back and a variety of toys clipped, tied and stuck to him as he creeps forward. I look at him quizzically. This is nothing unusual in his day to day play time, but one of those small milestones in his development, he no longer craves the constant attention of adults to play with him and occupy him, he is confident and happy to set about his own activities, create his own games and work with his imagination. 12 months ago this kind of behaviour was much rarer, to see him calm, passive and willing to play and explore on his own was a rarity and if enough attention was not coming his way we were welcomed to some interesting behaviour, which is where our training came in. When we left off our next step in preparation for becoming carers was our training. An interesting place to be. Training foster carers is an important and almost impossible task. Not because you cant train them, but because the training is about preparing you for what is ahead and when you are caring for a child in care, nothing is ever predictable and you can never be prepared for any and everything that may come your way. To put it in perspective, it’s like preparing for a cyclone, you know all the standard behaviours of a cyclone, wind, rain, hail, damage etc, but you can never predict where and how these things will manifest when it hits, the same could be said for a child in care, they can train you for as many possibilities, but you can never know when or how these things may eventuate. Unfortunately when training came around we had to take it in turns attending the sessions and weren’t always able to make it as a pair, which could have been all the more daunting, but for the lovely ladies who were there to train and guide us along the way. One in particular is a shining beacon of light in this journey, a lady who has worked with us since day 1 and still continues to work with and support us now. You speak to her and hear her stories, the things she says and the work that she does and you know that she has seen the worst and dealt with people and situations that any other person could never dare to think we could handle. Yet still she smiles, she exudes a love, a light and confidence that make us grateful not only for her help and guidance in our own situation but for the joy and hope you know she has brought in to the lives of countless children in care. She and countless others are the backbone of this system and the words she imparts have been the greatest gift we have received, without her this journey would be all the more harder, it is this support that is provided to Foster carers that is invaluable. You may not know the complete background of the child in your care, sometimes it is not entirely known and sometimes it is for your benefit to not have full disclosure. Something we struggled with. The biological parents of the child in your care will in most cases know your home address, it is their right as the parents to know where their child is. We struggled very hard with this, but our trainers were supportive in explaining the intricacies of this process and how we and the child in our care were protected. All children in care have suffered some form of trauma, this can vary and cannot always be known or disclosed, this was the crux of the training, preparing us for how these differing forms of trauma could manifest themselves. These might seem like some small points, but when you are preparing to take a child in to your care, you want to know everything you can, knowledge becomes this essential thing which you crave, you want to know so you can do everything you can to best care for this child to the best of your ability. Knowing and understanding that the parents will know where you live was one of the hardest, it tapped into this fear that starts echoing in your head, all the little “what ifs” that you could think that may happen, you can see little cracks appearing in the plans you’ve started to lay for the sort of happy household you’ve planned for this child, but again the trainers and their words put us at ease and true to form, we are well over a year down the track and everything they say has rung true. When I say those words ring true, this was in many regards, not only have we been safe and supported and seen our little man grow from strength to strength, but we’ve seen some of those not so pleasant behaviours, they were tough, but they passed and we’re all still here! I remember in our first 3 months, which were some of the most trying, it was a daily occurrence for weeks on end that he would up and run away, not because we were awful people, but for some of the most simple tasks, most commonly brushing his teeth, having a shower or eating his breakfast. Being taken from his normal routine was such a big thing for him, living in a situation where he had so much routine, to introduce new routines and expectations brought out so much anxiety, fear and trepidation in him that quite often his natural instinct was to run. So off he would go, you turn your back for 3 seconds and he was down the stairs, on his bike, on his scooter or on foot, trotting out of the house as fast as his little legs would take him. “We’re not chasing you mate, we’ll wait here til you come back, we love you and we want you here, so you have to come back” (or something to that effect) and then watching from a shielded postion inside we would see him only go so far as he could still see the house, plonk himself down on the grass and watch the house to see if we would come for him, it never lasted more than five minutes before he would up and bring himself back, head down, tail between his legs, ready to brush his teeth and get ready for the day ahead. Theres more of those stories to come, but again we must leave you until our next update where we get to let you in on the story of meeting our little man for the first time, something we will never forget. But in the meantime between now and then we had begun our planning and purchasing for our little mans “room to be”, I’ve included a little snapshot, I still look at it and smile. 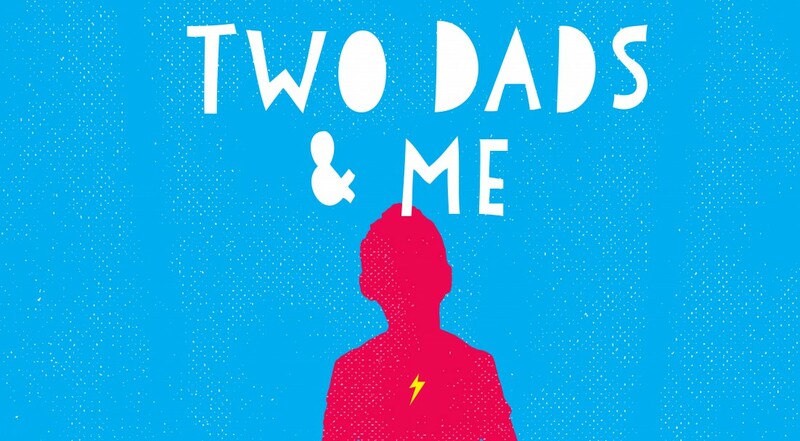 Categories: two dads | Tags: Adoption, Australia, Diverse Families, DOCS, Equal Love, Familes, Foster, Fostering, Love, Modern Family, Queensland, Samesexparents, Twodads | Permalink.